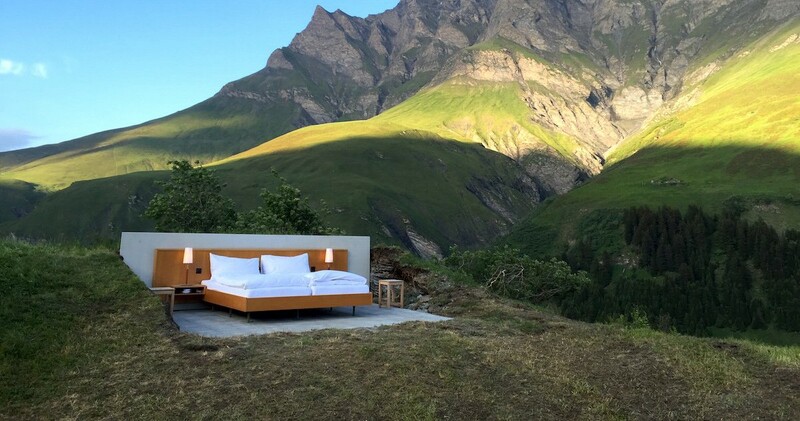 And it’s 6,463 feet above sea level in the Swiss Alps. Remember that one friend who always got a little too drunk in college and passed out outside once or twice? 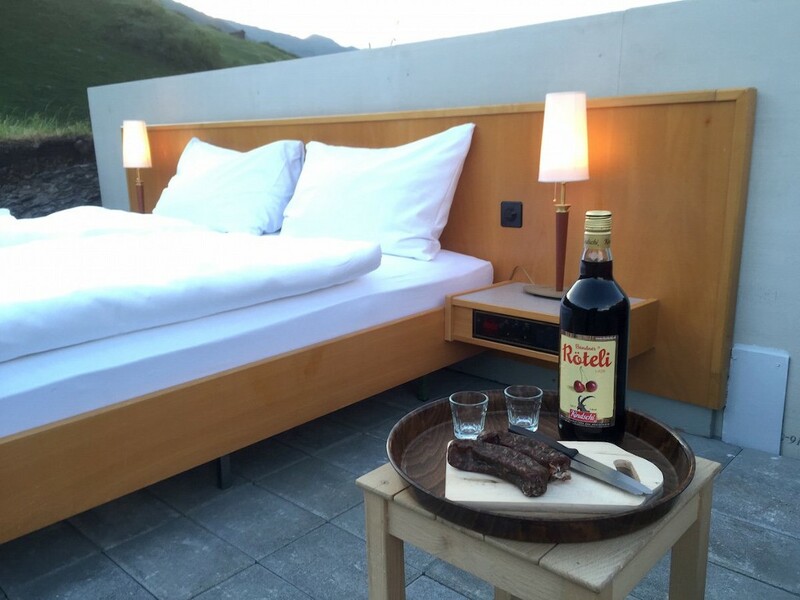 We’d like to think this one-room outdoor hotel is loosely inspired by their nights on the lawn. 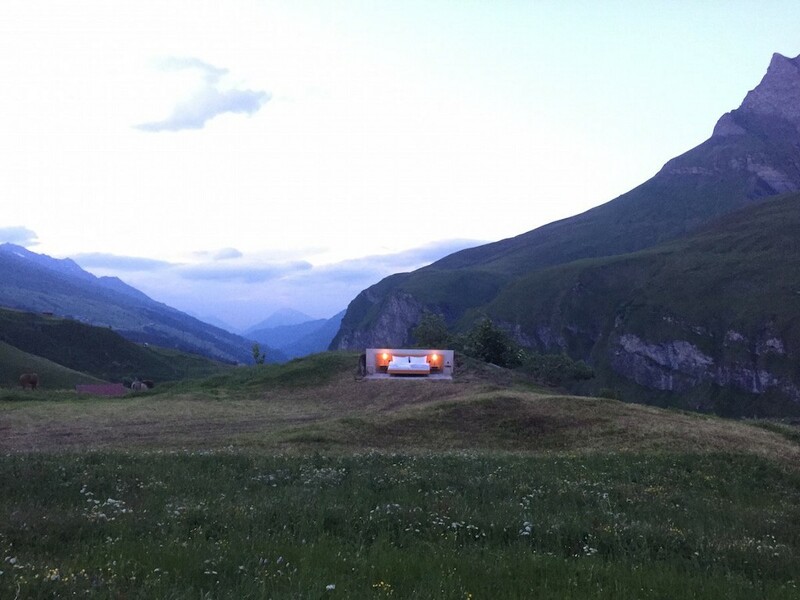 Null Stern Hotel is a single bed nestled 6,463 feet above sea level in the Swiss Alps, in the town of Graubünden. 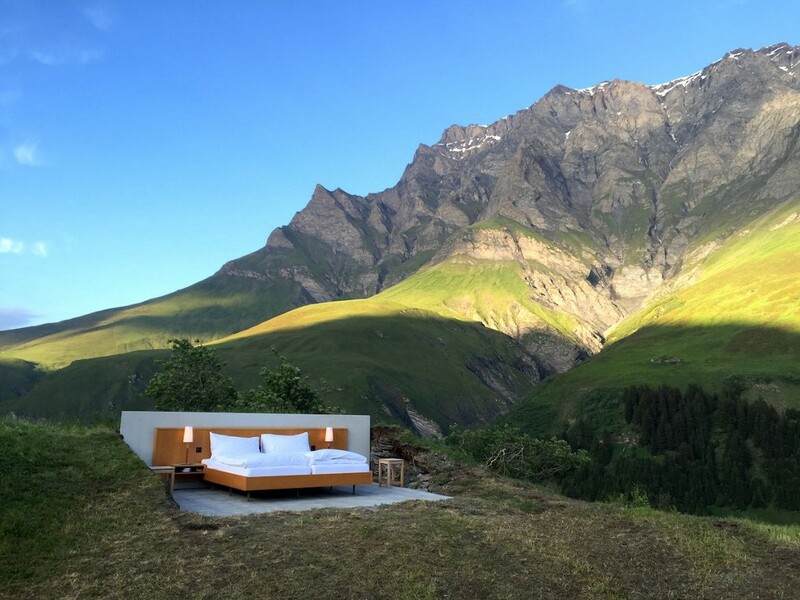 The room comes equipped with lamps and nightstands, plus a panoramic view of Switzerland’s starry sky. For $250 a night, you don’t get a hotel bar or a private bathroom, but you do get your own personal butler who brings you breakfast in bed, on request, which is 100x better. There’s currently a waiting list into 2017, so maybe pull an air mattress out to the backyard and practice for your trip until then.